(LWI) – "This is my first time seeing this,” Ms Silong exclaims. Her seven-year-old daughter Mone has just received a bag of school supplies. “My daughter is very happy about these things and I told her to keep them in good condition so she can use them for a long time,” the mother adds. The distribution of school material is part of a project by The Lutheran World Federation (LWF) in Viengphoukha district, Luangnamtha province in northern Laos. One of the activities is to promote access to quality education for children, particularly those from the poorest families in remote and indigenous areas. The region around Viengphouka is very isolated, bordering the mountains and covered in forest. Mone and her mother are ethnic Khmu, an indigenous community which constitutes the largest minority in Laos but lives very isolated. Many Khmu villages are only slowly receiving electricity. In their traditional lifestyle, largely depending on agriculture, hunting and fishing, a girl’s education is often not high on the agenda. They often drop out early because the family needs their work force, cannot afford to send them to school or does not give high priority to education. LWF has been giving books, textbooks, pencils, pens, carry bags, shoes and school uniforms to improve the quality of the children’s education and to support the families who cannot afford these items themselves. Like Mone, the children come from the poorest districts and families in the region, belonging to ethnic minority groups like the Khmu, Akha and Lue. For many of them school is far away, which also does not encourage attendance. LWF therefore also has distributed bicycles to the students. In addition, LWF conducted a village campaign on education to enhance children’s school participation, and supports the teachers with workshops and monitoring in the villages. 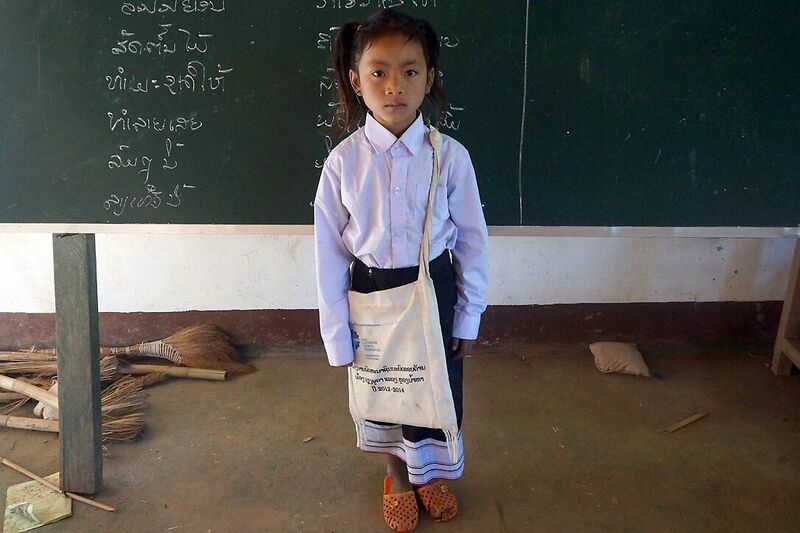 Since 2013 more than 600 school children from the poorest families in 26 villages in Viengphoukha district have received school supplies, uniforms and bicycles. In 2017, LWF Laos plans to expand the support to 40 villages in Nalae district until 2020. I expect my daughter to complete the highest possible education; I know illiteracy makes us poor. Mone’s family is now taking great care to support their daughter in her academic ambitions. ‘‘I expect my daughter to complete the highest possible education; I know illiteracy makes us poor,’’ her mother Si Long says. Contribution by Alounsavanh Xaysongkham/LWF Laos. Edited by LWF communications.